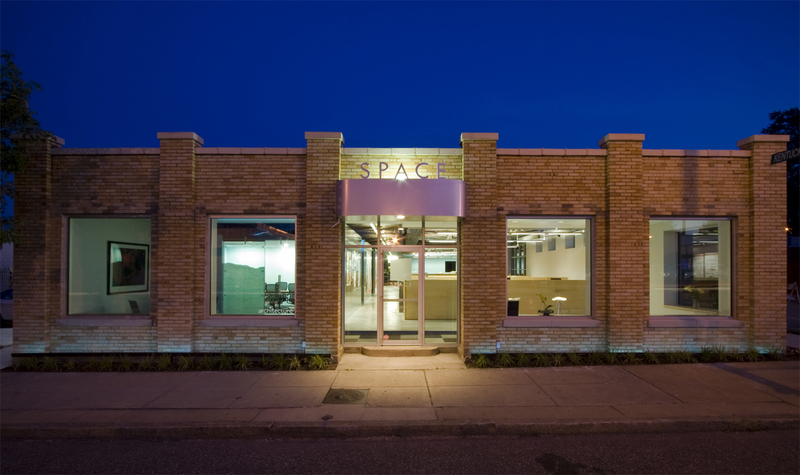 SPACE Architecture + Design | Save the Missouri Historic Tax Credit! Home » Insight » Save the Missouri Historic Tax Credit! Save the Missouri Historic Tax Credit! We renovated our office with help from the Missouri Historic Tax Credits. When I say “we,” I’m not just talking about the folks here at SPACE. We’re speaking on behalf of all those affected by a possible cap on the Missouri Historic Tax Credit: construction workers, homeowners, furniture makers, schoolchildren, durable goods manufacturers, designers, painters, engineers. Don’t forget anybody who lives in, goes to school in, works (on or in) renovated historic buildings. Meanwhile, the rest of us have enjoyed the look and experience of improved streetscapes created by these majestic old buildings. Unless you live in a cave, you probably fall into at least one of these categories. Missouri legislators are on the verge of gutting this successful economic development engine. How successful is it? 43,000 jobs have been created. For every dollar of tax credit issued, the Historic Tax Credit generated $1.78 in tax revenue. If these tax credits are cut, we’re going to kiss a lot of redevelopment in our beloved city (and beyond) good-bye. These projects aren’t just limited to Missouri’s urban areas, either. The Historic Tax Credit is boosting the economy in small towns across the state, too. A sample of the buildings that have been saved are highlighted on What We Could Have Lost, a Tumblr blog filled with structures that were brought back to life, thanks to help from the Historic Tax Credit. SPACE is a small business, so we get it. Just like we do on a day-to-day basis, the state of Missouri is trying to increase revenues and cut costs to pay its bills. We also realize that eliminating tax credits is a convenient target for legislators, while many of them forget how their neighborhoods benefitted from the Historic Tax Credit. By gouging the HTC, our elected officials are sacrificing a proven moneymaker to save a few bucks in the short term, and allowing this is short-sighted and irresponsible. The Missouri Historic Tax Credit is green — in tax revenue, jobs created and because it creatively reuses old structures, which oftentimes resurrects old neighborhoods, too. Our building is a perfect example of this. We probably never would have considered buying and renovating it without the HTC. Click here to see a blog post with pictures of SPACE’s dramatic before and after. The Historic Tax credit is a win-win for Missouri. Don’t let the legislature dismantle a successful economic program that preserves historic buildings. Help us. Stop by one of the three call parties tonight, March 27th, from 4 to 6 PM and pick up the phone to make your voice heard! Can’t make it to one of the call parties? Everything you need to get in touch with your representative is right here, including talking points, contacts and general information. If you tweet about it, use the hashtag #SaveMOHTC. We’ve had an INCREDIBLE response on Facebook and Twitter, but we need everyone to call, email, telegraph, or send smoke signals to our representatives in Jefferson City. That is what’s going to put the brakes on this. We appreciate your support, and big thanks to our friends at Preserve the Missouri Historic Tax Credit!